swal22 1 year, 5 months ago. Here is the much awaited Nougat 7.0 ROM for Galaxy Tab 4 10.1 WiFi CyanogenMod 14 (CM14). In addition, we also have the Lineage OS 14.1 for Galaxy Tab 4 10.1 WiFi. For latest updates, stay tuned to the Lineage OS device list page. Since Google released Android Nougat Source code, we have update many Android NOUGAT AOSP ROMs and also many CyanogenMod 14 ROMs updated and many are yet to come. This Galaxy Tab 4 10.1 WiFi for CyanogenMod 14 is brought to you by developer sub77. Download and Copy the GApps and Galaxy Tab 4 10.1 WiFi CyanogenMod 14 ROM ZIP to your phone. Reboot and Enjoy the CyanogenMod 14 Nougat ROM on Galaxy Tab 4 10.1 WiFi. 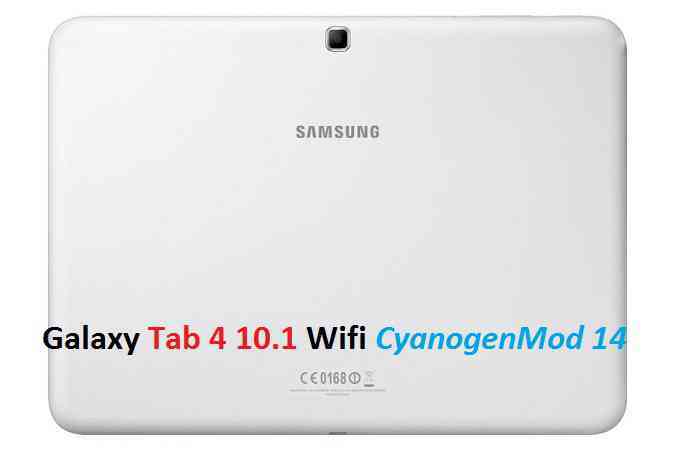 Copy the latest Galaxy Tab 4 10.1 WiFi CyanogenMod 14 ROM ZIP file to your phone. Stay tuned or Subscribe to the Galaxy Tab 4 10.1 WiFi forum For other Android Nougat ROMs, CyanogenMod 14 ROMs, other ROMs and all other device specific topics. I haven’t done this in a long time, so if there are logs I should attach I will need a little coaching to get you the info you need. So, I got GPS working. Completely wiped tablet with TWRP. Installed cm-14.1-20161117-0709-UNOFFICIAL-matissewifi and rebooted. Back into TWRP and installed gapps-pico, rebooted. Activated developer options and enabled root (apps and ADB). Location settings set to high accuracy. Then went to Play Store, installed GPS Status 7.6.163 and now GPS works. Not sure what at what point GPS worked in the above flow, but it works so all good. Glad that the GPS somehow worked for you. If you really want to experiment then you can check if it is the application that solved the issue or the complete wipe that solved ! !